The Marazita family migrated to Australia in 1925. Mario P. Marazita started one of the first continental grocery stores in Melbourne in 1948 with his brothers, originally called 'Marazita Brothers'. Now his sons, Peter and Mario have taken over the mantel, opening their newest continental delicatessen situated in the beautiful seaside suburb of Williamstown. Our store is overflowing with gourmet delights such as boutique continental & Australian small goods, specialty local & international cheeses, finest quality antipasti, dips, artisan breads, cakes, biscuits and fresh roasted coffee beans. 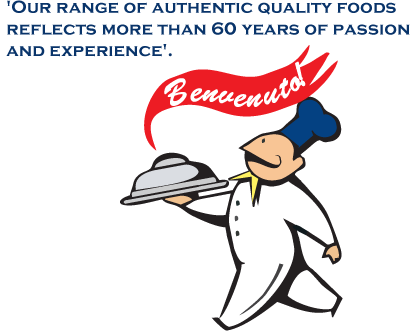 We also offer a large range of specialty grocery with an emphasis on premium pasta, sauces and olive oils. If you are looking to entertain, Marazita Bros. Offer a superb selection of Platters, Hampers and fresh prepared meal solutions for all occasions. Why not try one of our unique picnic bags for that romantic lunch on the pier. Copyright © 2009 marazitabros.com.au. All Rights Reserved.